Haley Woods is a Bay Area softball legend. She has played and coached softball in the Bay Area for more than 20 years. Haley’s softball career began in Burlingame, CA at the age of 5, continued through the West Bay Nuggets for travel ball, Sacred Heart Prep and Burlingame HS for high school ball, and culminated as a four-year starter for the Cal Bears. Haley was Cal’s starting catcher in each of her four years at Cal, and the only Cal player to start every game in 2004, 2005 and 2006. Cal’s official softball guide correctly describes Haley as “one of Cal’s all-time greatest hitters, holding the Cal record for RBI’s and total bases in a career.” Haley led the Cal Bears to victories at every level, including three appearances in the Women’s College World Series and in two National Championship games. Playing at the highest collegiate level, Haley earned a career batting average of .314 and a career slugging % of .584, including 38 doubles, 48 home runs, 413 total bases and she holds the Cal Bears Career Record for RBIs with 191. Haley was named NCAA NFCA and Easton First Team All-American, Diamond Sports Catcher of the Year, All-Region First Team and Pac-10 First Team. Haley graduated from UC Berkeley with a BS in Political Science, and has since earned a Masters Degree in Education and a Teaching Credential. Haley has coached at the college, high school and travel ball levels and has enjoyed much success. The Cal Nuggets mission is to offer a positive and competitive environment for female student-athletes to thrive in. Our goal is to provide players with a positive experience where they can develop their skills while finding the right college fit. 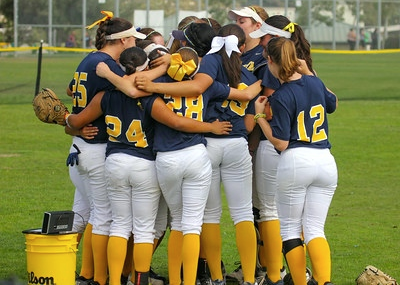 Cal Nuggets is a place for highly competitive softball players that have the dreams and work ethic to play in college. Cal Nuggets will focus on teaching life skills through softball while providing student-atheltes with an environment where they can grow, compete, and succeed. What type of player is the best fit for the CAL NUGGETS? The Cal Nuggets organization is geared toward extremely committed and highly competitive players. We offer 12u, 14u, 16u, and 18 Gold teams and all of our teams play competitive schedules. We want players who commit to Cal Nuggets being their top priority. We want players who want to work to get better every day. We want players who aspire to play college softball. We want players who believe in team first. We want players who want to compete and win. What is a typical CAL NUGGETS Tournament Schedule? 12u team plays in 4-6 tournaments in Northern California and practice on off weekends. 14uteam plays in 2-3 Surf City Showcase tournaments and Triple Crown Showcase Tournaments in Southern California, and 2-3 local Nor Cal tournaments and/or friendlies and practice on off weekends. 16u team play in 2-3 Surf City Showcase tournaments and Triple Crown Showcase Tournaments in Southern California, the D9 Showcase in Florida, and 1-2 local Nor Cal tournaments and friendlies and practice on off weekends. 18 Gold team plays in 2-3 Surf City Showcase tournaments and Triple Crown Showcase Tournaments in Southern California, the D9 Showcase in Florida, and 1-2 local Nor Cal tournaments and friendlies and practice on off weekends. 12u will typically play 3-4 local tournaments in Stockton, Salinas or Roseville (these may be PGF or ASA qualifiers), 1 tournament in Fresno, 1 tournament in Las Vegas and 1-2 friendlies. 14u will typically play 2-3 local tournaments in Stockton, Salinas or Roseville, 1 tournament in Las Vegas, possibly 1 tournament in Southern California and 1-2 friendlies. 12uteam will play PGF and ASA qualifiers, local Nor Cal tournaments, and either PGF, ASA, or Triple Crown Nationals. 14u team will play PGF and ASA qualifiers, Colorado IDT, Triple Crown and Surf City Showcases, local Nor Cal tournaments and PGF or ASA Nationals. 16u team will play PGF Qualifiers, Colorado Fireworks tournament in Aurora or Colorado IDT in Boulder, Surf City Showcases, Triple Crown So Cal tournaments, local Nor Cal tournaments and PGF Nationals. 18 Gold team will play PGF Qualifiers, Colorado Fireworks tournament in Aurora or Colorado IDT in Boulder, Surf City Showcases, Triple Crown So Cal tournaments, local Nor Cal tournaments and PGF Nationals.